Prince Albert of Monaco has donated US$36 000 (R300 000) to the youth of Gugulethu, a township in Cape Town, to develop a new youth sports programme. One of the three sponsors of this project, the City of Cape Town says the monarch was inspired to get involved after he realised that the youth could benefit from various sporting activities. The programme will enable the youth of Gugulethu to learn new types of sport and recreational activities. They will in turn share their skills with children between the ages of six to 12. 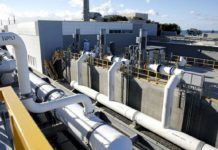 The agreement to set up the programme was signed between the City of Cape Town, the Principality of Monaco and the United Nations Development Programme (UNDP). The newly upgraded NY49 sports complex in Gugulethu will serve as the venue for the sports programme. 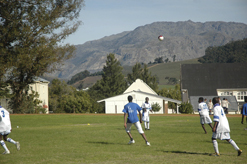 The sports facility was chosen as it is a popular venue for many Gugulethu residents and people from neighbouring areas. Lack of maintenance and vandalism has however limited the stadium’s potential. Developers and investors hope to restore the venue to its former glory and expand the stadium’s infrastructure. Speaking at the programme’s announcement, Gert Bam, the City’s director for its sport, recreation and amenities programme, said this was a great milestone for the council, “The City is honoured to have been chosen by these international partners for this project,” he said. The project will make it possible for youths to partake in weekly sporting and recreational activities. According to Luzuko Mdunyelwa, from the City’s external relations department, the idea to use sports as a youth development tool came about in 2005 after Prince Albert expressed his interest in the project. 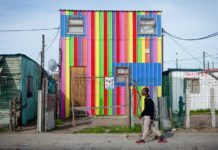 To facilitate, the non-governmental organisation, Glocal, based in Rome, Italy, was approached to help the City of Cape Town. Glocal partners with various city councils to create projects, which contribute to community development through sports, tourism, culture, media and information technology. The organisation has helped the UNDP and Monaco set up similar programmes in other African countries. 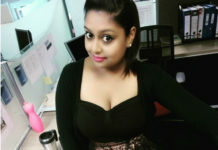 The premise of the programme is based on the casual concept of “pay it forward”. Pay it forward is a social concept which encourages a person to do something good for someone. That person then does something good for another, and so a chain of good deeds is passed on. Unemployed youths will be coached in the new sports and will share their expertise in line with the City of Cape Town’s existing programmes. The young trainers will be paid a basic wage, but it will not amount to a full salary, as the project is community driven. “It is also a kick-start programme for them, they can use the skills they have learned and develop themselves too,” said Mdunyelwa. 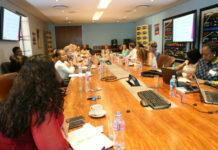 As a way of fast-tracking the programme, a workshop was held on 16 May 2009, which involved City officials, a delegation from Monaco, different sporting federations and representatives of the Gugulethu community. Donny Jurgens, the manager of the specialised operations unit of the department of sport, recreation and amenities of the City of Cape Town chaired the workshop. Issues discussed at the workshop included the expectations of the community and that of the donors, future development, challenges, and proactive steps to make the project successful. 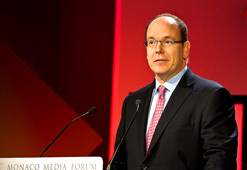 Besides his academic achievements and royal status, Prince Albert is most notably known for his humanitarian work. In 2005, he took over the reigns in Monaco, after his father, Prince Rainer, passed away. At the time of his father’s passing, Prince Albert was already representing his country as the president of the delegation at the United Nations. Prince Albert is well known for his experience in the financial sector, a skill which he honed during an internship with the US finance giant, JP Morgan Chase (formally known as the Morgan Guaranty Trust of New York). In 1982, he served as the president of the Monaco Red Cross society, where he engaged in projects in his home country and abroad. His passion for humanitarian work grew after he took part in the Paris-Dakar rally through the Sahara desert in 1985. During his journey he observed the dire circumstances and poverty in several African countries. This inspired him to set up the Monaco Aid and Presence Association. The organisation, formally established in 1988, has active projects in Nigeria, Brazil, Sri Lanka and East Europe and now, South Africa.